Sunsets are beautiful. If you don’t love them, something is wrong with you and you might as well get off my blog. On second thought, if something is wrong with you, maybe this blog is exactly for you. In any case, I’ll teach you how to take beautiful photos of a sunset today. Nature is usually better than a city because the sun sets on the horizon and buildings tend to get in the way of your view. 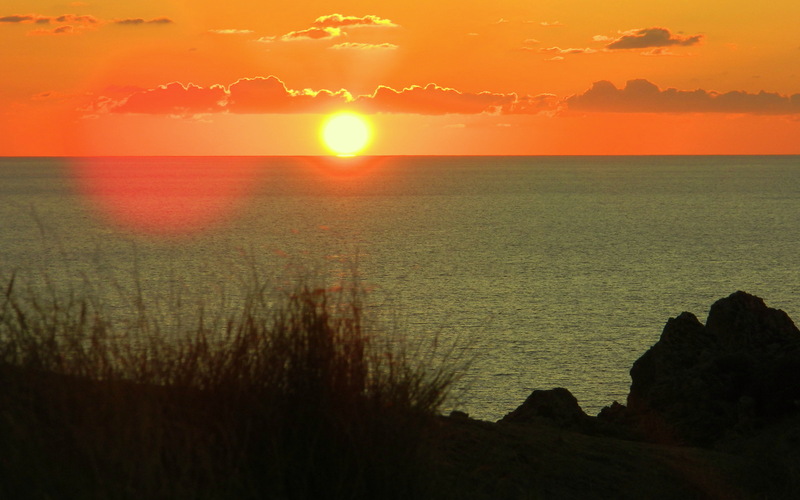 I will use an example from my time in Malta to illustrate the search for a perfect spot. 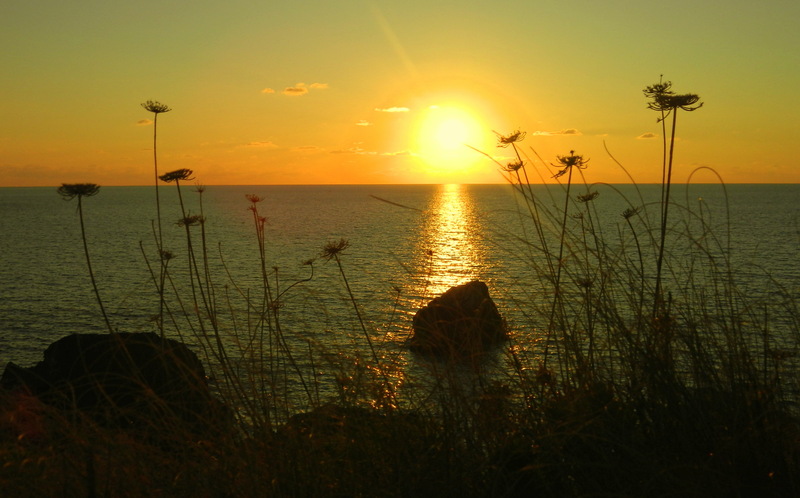 Malta is an island and the sun will set in the West. 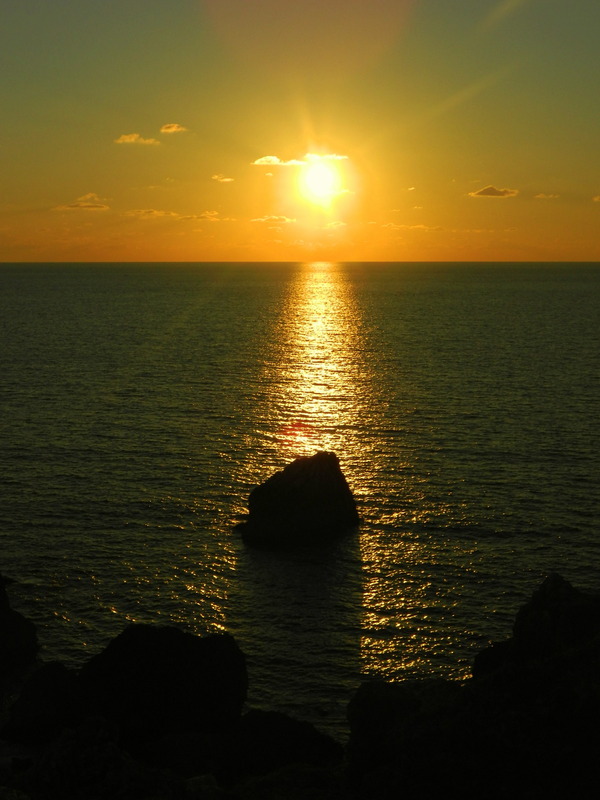 By going to the West coast of the island, I will see the sun setting in the sea, with no buildings or any other obstacles or distractions between the ball of fire and my camera. 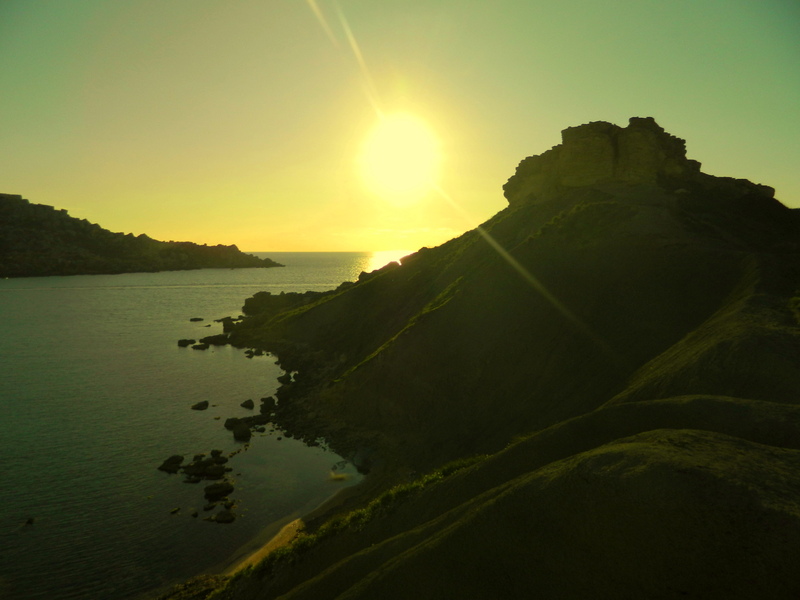 So I went to the West coast of Malta and found a peaceful and beautiful spot. 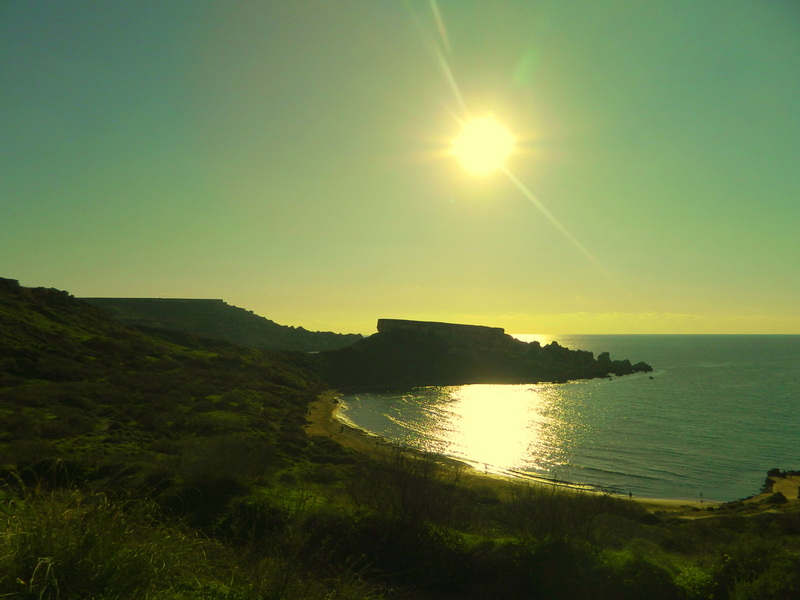 I went to the coast south of Il-Majjistral Nature Park, at Għajn Tuffieħa. You see that I got there with plenty of time until sunset. That’s important. You want to have time to walk around and find a good and comfortable spot where you can sit or lay down with your camera – or set up your tripod if you have more equipment than me. By the way, this is also where I saw the paraglider. If the sky is clear, that’s easy. The sun is the big shiny round thing in the sky. You see it? Hard to miss, you have to admit. 3. Take photos of the sun. As you see, I was actually moving around between different locations, in violation of my previously given advice (which, in my defence, I had not yet given by the time I was doing this). I personally can do that because I am really fast and because I can move smoothly like a gazelle even in hostile terrain. You probably can’t do that, so you better stick to one location. Some clouds are not that bad. Even more clouds would have been OK, as they often add a dramatic touch. 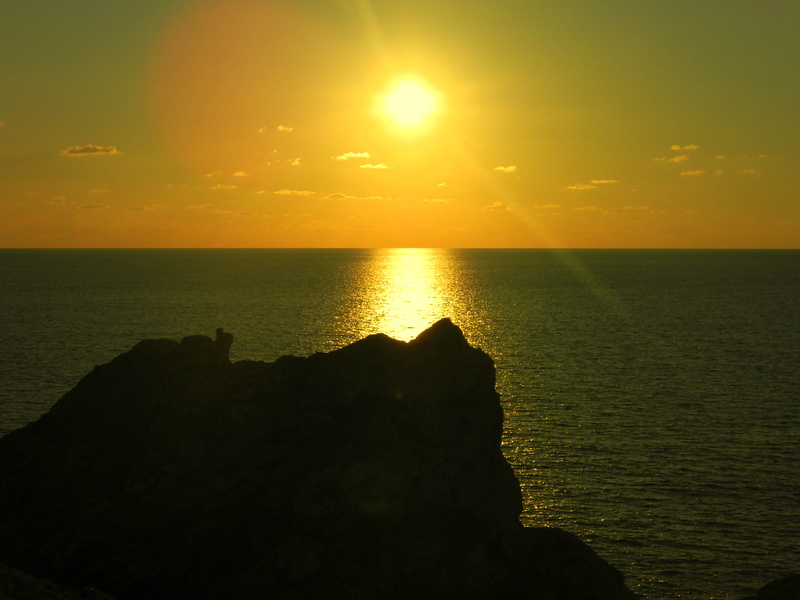 And notice how I picked a spot from where the rock in the sea is in one line with the mirrored light of the sun. That’s how you recognize a professional. These last photos again show how much I was running around between different spots to get different compositions. It was exhausting. 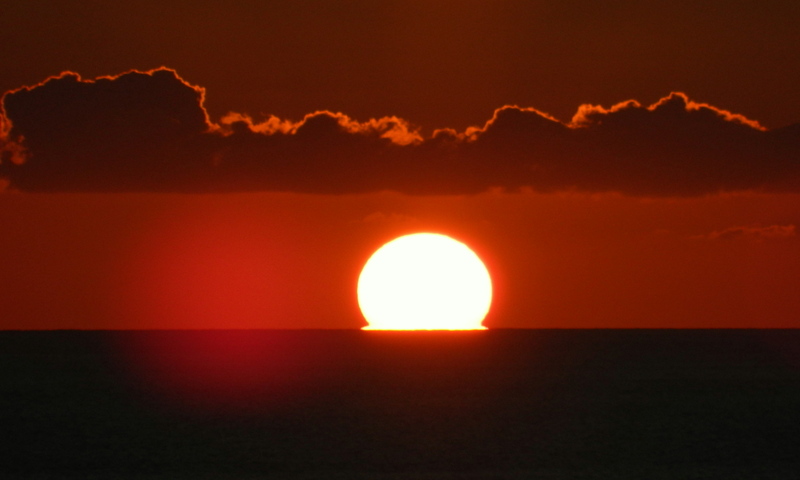 And then comes the moment when the sun touches the horizon and it looks like it sinks into the Mediterranean Sea. You only have a few minutes now, so just keep shooting. That’s it. A beautiful end to a warm day in spring. Now comes the part which I myself had completely disregarded in my typically exuberant excitement: Once the sun has set, you have a maximum of 30 minutes of natural light left (unless there is moonlight, which in my case wasn’t available). If you live in a city or in fact anywhere close to civilization, you may not know how dark it can get after sunset, but I can tell you: it gets completely dark. I had forgotten to bring a torchlight. So much about the professionalism which I had claimed before. Those of you have been hiking with me know that I am good in finding “shortcuts”. I wanted to find one that day as well, because I don’t like walking back the same way I had come. Bad idea. I ended up walking through gardens and fields, was chased by dogs and hunters, fell into cacti and in the end I fell into the ruins of an excavated Roman bath. From there, I could finally climb the fence to get onto the road where the bus which I tried to stop almost hit me, again for lack of any light on my part. I came home a few hours later, totally exhausted, but happy. Both the shower and the dinner felt better than usual. 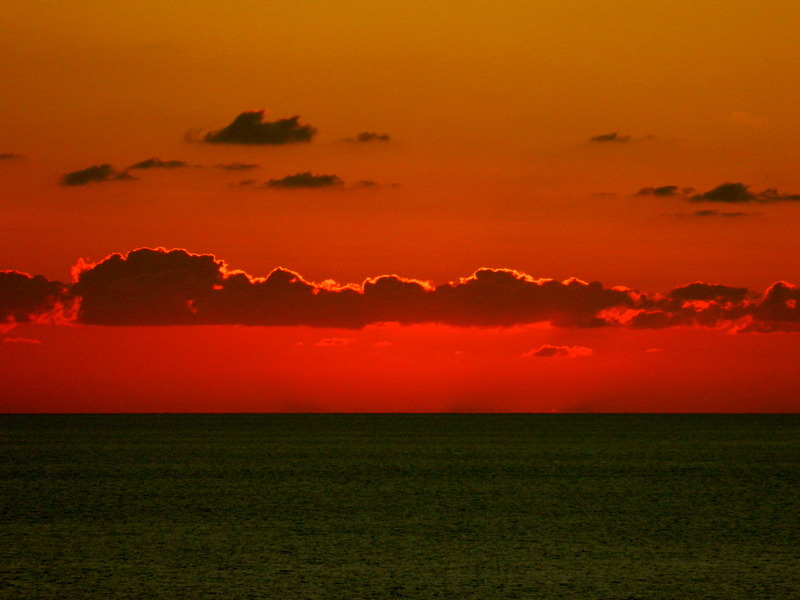 This entry was posted in Malta, Photography, Travel and tagged nature, sea, sunset. Bookmark the permalink. Depending on the genius of your camera (or lack thereof), some systems get twitchy trying to autofocus on somethinglike the sun. Go manual if you can; otherwise, you can aim off to one side of the sun, get an “infinity lock-on”, then use those settings. If you use roll film (good GRIEF, how old IS this guy?!? ), either have two camera bodies or be near the end of a “general purpose” roll of ASA200 or ASA400, and have a roll of high-speed ready (I shoot ASA1600, though I have used ASA3200) for shots after the sun slips below the horizon, but you still have a TEENY bit of light. I really don’t know half as much about my camera (a Nikon Coolpix L120) as you. I still haven’t figured out how to focus manually. Pretty awesome photographs! A magnificent subject does not mean a great photo. Early photographers sought out the specific sites and waited. Those photos, and yours show a connection to place. Thanks for the images. I would entrust my hypothetical children to you. You’ve brought your earned insight to sunsetography, a pastime that sounds deceptively simple but in fact requires both planning and skill, and covered all the bases. Points #2 and #3 are especially delightful. Thanks for your visit on The Ambler, Andreas — you undoubtedly found some kindred sentiments in Ben’s sunset slideshow from Isla Palenque. Hope you’ll visit again. Appreciated your pictures and ideas. Next time you’ll have the flashlight for sure. Yes, I am trying to be better equipped now when I venture outside. It still doesn’t work all the time, because I sometimes go out with my camera in a spur of the moment, usually when I notice that the light is great. And then every minute counts. Your first picture is amazing!!! It looks like a painting… love, love the deep blue, from the waters! 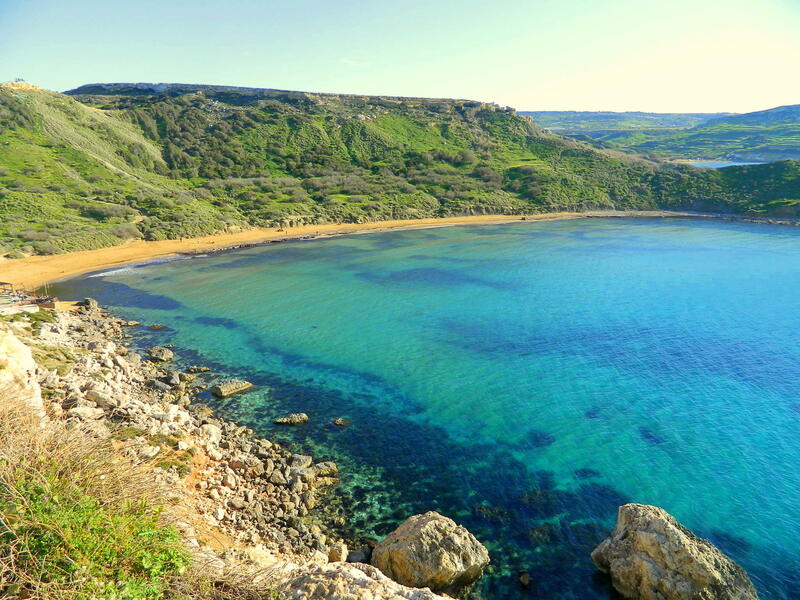 The water around Malta is fantastic. So clear, you can see to the bottom of the sea. Stunning. I’d like to reblog, would you mind? Quite the contrary: I would feel honoured by it! Beautiful photos!! And blog. Do you have instagram? No, I don’t. I always try to prevent signing up to something new and try to drag it out as long as possible. Also, I think you need one of these fancy phones for this, right? I don’t even have that. Loved the pictures and as usually the way you wrote about it, I was all smiles while sitting in the office)). 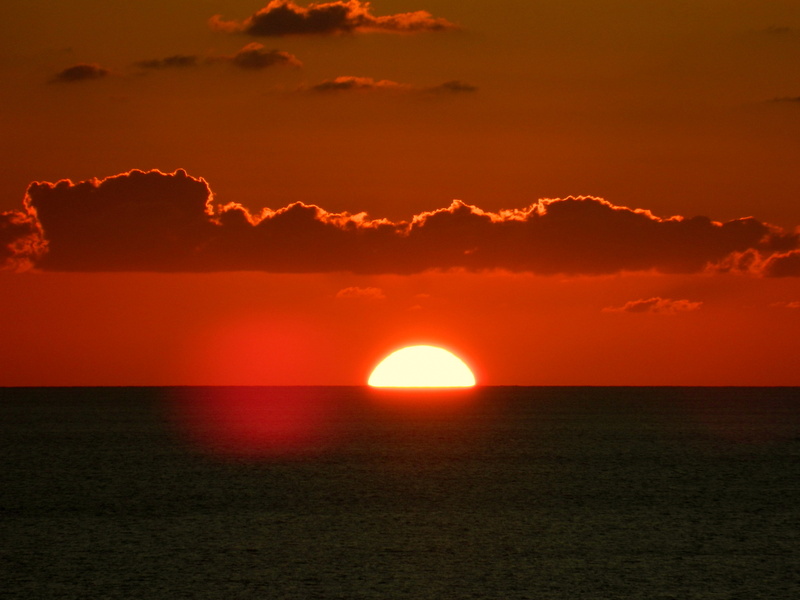 Wishing many beautiful sunset shoots in 2013! Especially because there were still the beautiful colourful buses in 1998, something I missed. And hopefully there was also a little bit less of construction. At the current rate, the whole island will soon be built over. That’s sad. It really is sad when people think progress means killing off the natural beauty of a place. P.S. My apologies. Your pictures are stunning! I spat my drink out when reading “I am really fast and because I can move smoothly like a gazelle even in hostile terrain.” Its true though, I am a terrible clutz, so when I photographed the sunset from the same area, I plonked down in one spot and didn’t get too close to the edge! Also, does it make me a bad person that I chortled at the falling into a roman bath?